A Limited Edition first run of this Blu-ray will be available in four different coloured sleeves, based on the title colour scheme of each episode. THESE SLEEVES ARE FULFILLED RANDOMLY AND SPECIFIC COLOURS ARE NOT ABLE TO BE ORDERED. Once the Limited Edition sleeves have sold out, the cover design will revert to a standard cover which matches the accompanying DVD release. 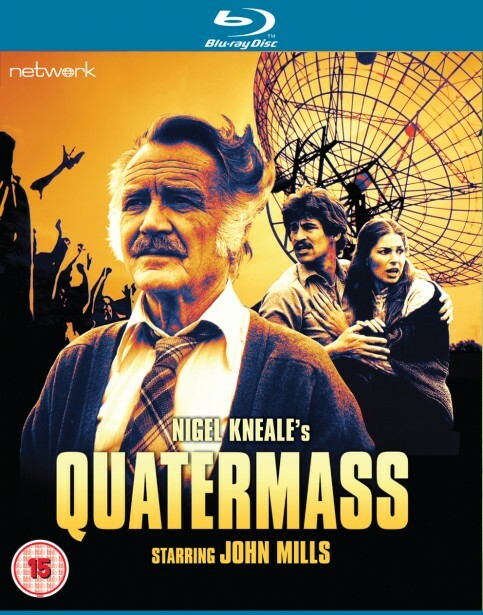 John Mills brings a stoic intensity to the role of Professor Bernard Quatermass in this key piece of British dystopian fiction from visionary writer Nigel Kneale. Unsettling in its vision of a crumbling society coming under alien attack, Quatermass is directed with characteristic style by BAFTA winner Piers Haggard and features the high production values associated with Euston Films. Shot on 35mm, the original negatives have been used for this stunning, brand-new High Definition restoration – a new 5.1 mix from original triple-track audio elements is also presented here alongside the original mono soundtrack.